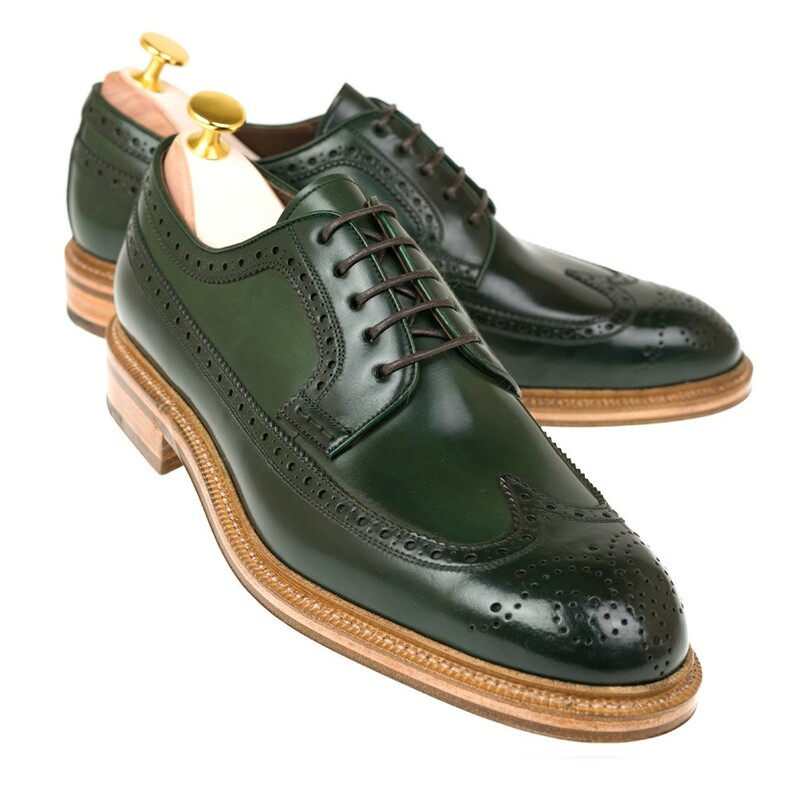 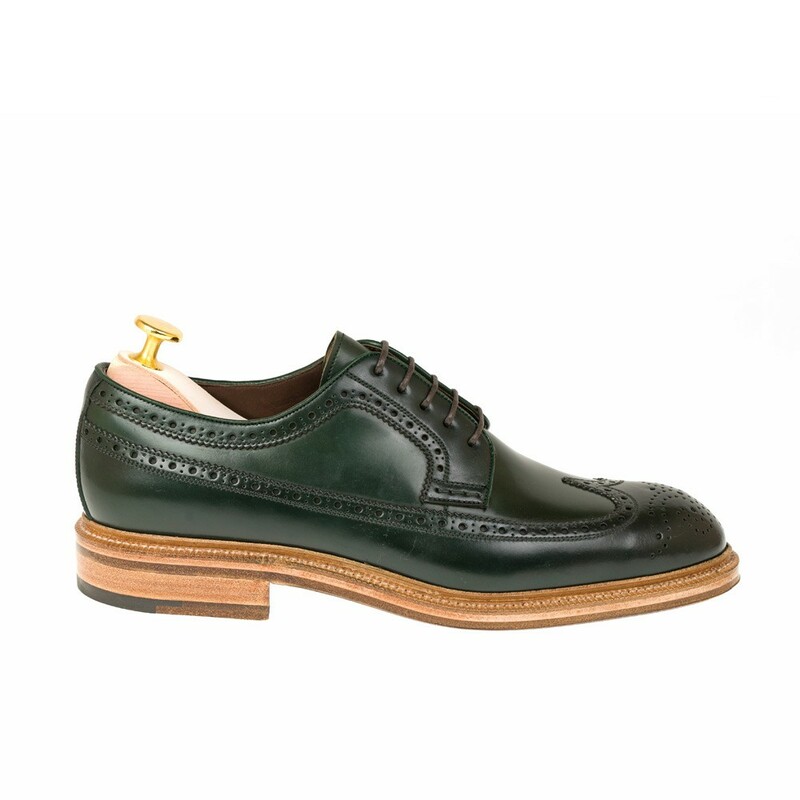 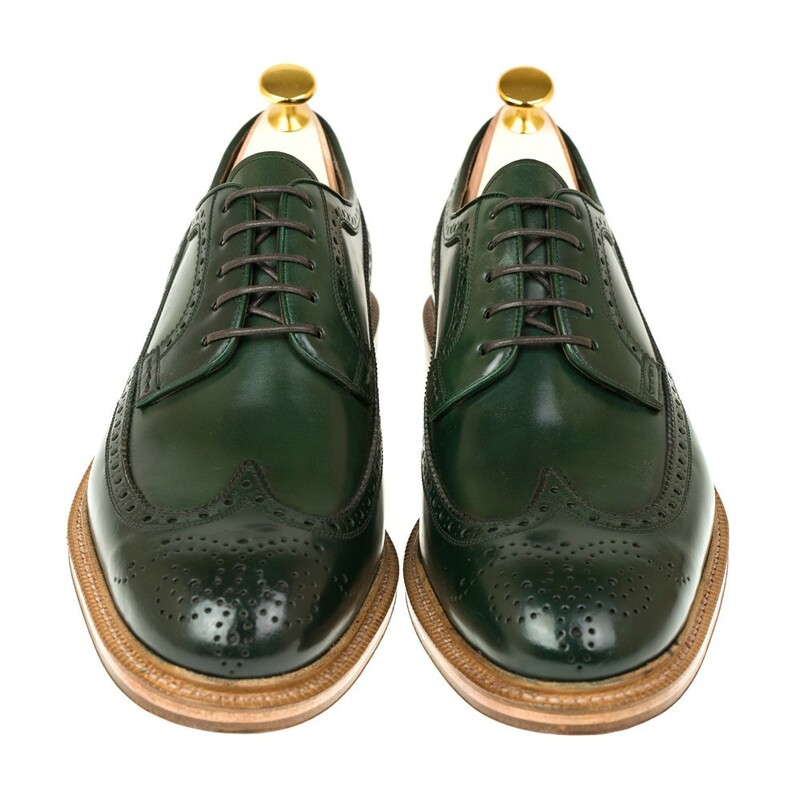 Stylish five eyelet longwing Derby in Horween Shell Cordovan green. 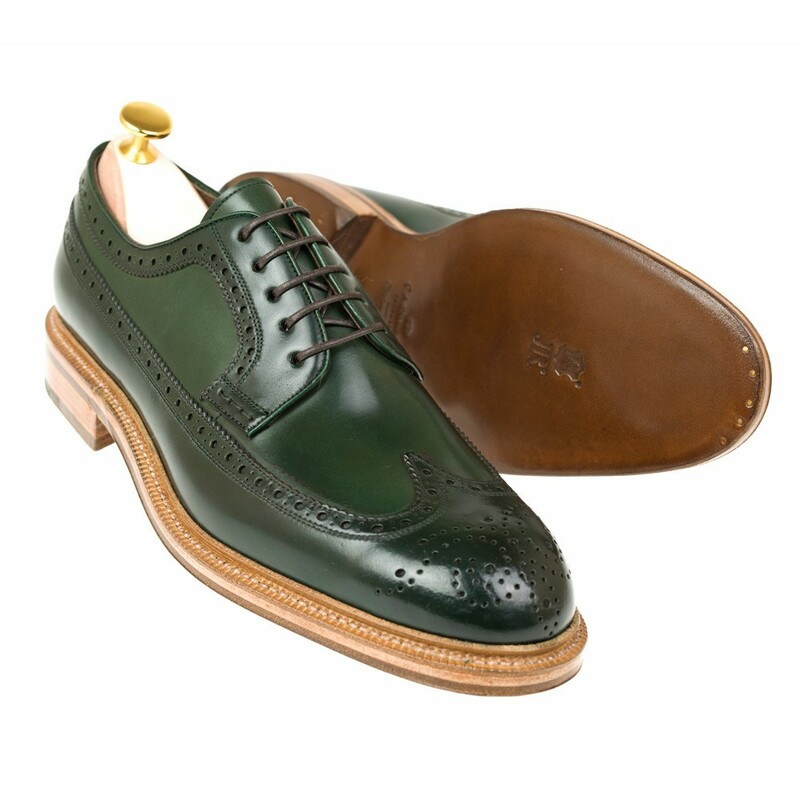 Featuring a storm welt Rendenbach sole, punched patterns on the toe and calf lining. 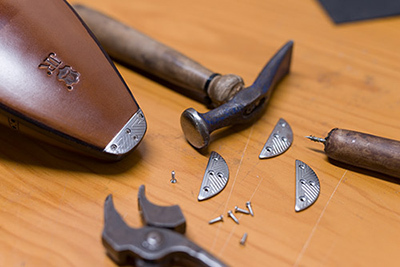 The 532 Oscar is manufactured at 360º for a better protection against water and durability. 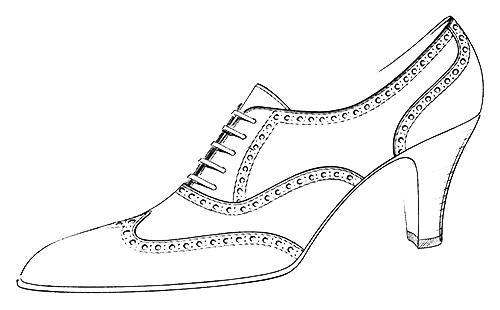 This shoe, just like all the other Carmina´s, is carefully manufactured by expert craftsmen who follow the exact same techniques that Charles Goodyear created in 1869.